This past May was our book club’s 5 year anniversary so the first weekend in October we took off for a little retreat. I invited our regular attenders to a weekend of what I hoped would be time of rest and relaxation and of course reading, fellowship and delicious food! I think it was completely successful at that! We rented a beautiful house less than 2 hours away. Each of us brought some of our favorite dishes for each meal. I’d recommend this kind of trip to every book club! Next time, we will plan a book flight to discuss for sure! 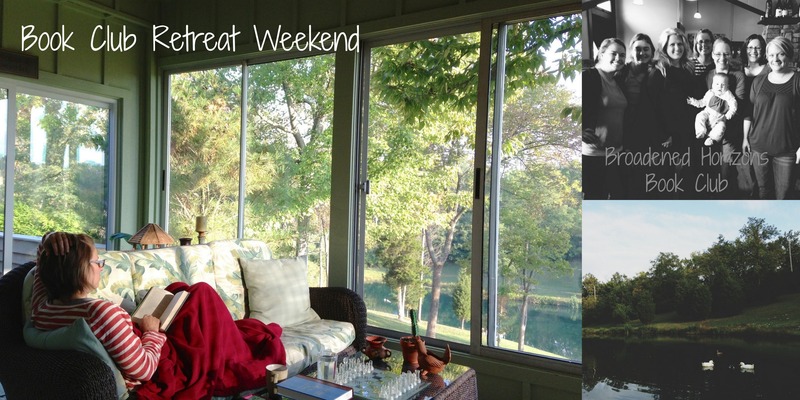 When I saw this post by Anne I knew a weekend trip would be THE perfect opportunity to discuss three books. We just had trouble deciding which three to select and then we were getting a little short on time. 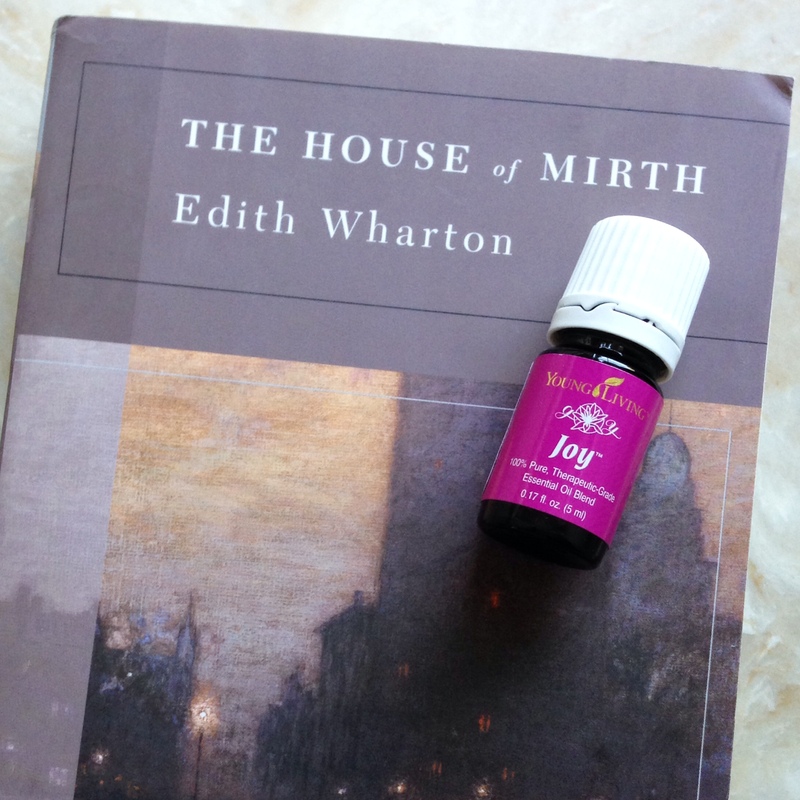 The oil I chose with this book is Joy. The definition of mirth is “amusement, esp. as expressed in laughter.” In a way, this book was about seeking. I think this oil could have possible helped Lily Bart, the main character, with her big picture plan in life. She was oh-so very concerned with having the newest, latest (and expensive fashions) to be able to look and play the part in society above her means. Instead, if she would have realized that finding true friends and marrying the man that loved her we would have probably had no book here. Catherine found the meaning of the title comes from a verse in Ecc. 7:4 4 “The heart of the wise is in the house of mourning; but the heart of fools is in the house of mirth.” Read more of Catherine’s thoughts on the book in her post. This is one of, probably, many essential oils Lily could have used. She was excellent at making very poor choices. We jokingly decided that if we needed to make a decision we should just ask “What would Lily do?” Then do the opposite.